John Ferré joined the Department of Communication in 1985 after studying at Mars Hill College (BA in Religion), Purdue University (MA in Communication), the University of Chicago (MA in Divinity), and the University of Illinois at Urbana-Champaign (Ph.D. in Communications). With his interdisciplinary background, he has written or edited books on composition (Rhetorical Patterns in 1981 and Merrill Guide to the Research Paper in 1983), religion and media (A Social Gospel for Millions in 1988 and Channels of Belief in 1990), and ethics and media (Public Relations and Ethics in 1991, Good News in 1993, and Ethics for Public Communication in 2012). Professor Ferré teaches what he studies. Since joining the faculty, he has taught Introduction to Mass Communication, a course that begins with Johannes Gutenberg’s printing press and ends with research on social media. He also teaches Ethical Problems in Communication as well as Religion and Media and Faith and Film. The College of Arts and Sciences twice recognized him with its Distinguished Teaching Award, and the University of Louisville recognized him in 2001 with its Distinguished Teaching Professor Award. Internationally, Professor Ferré has taught undergraduate study abroad students in London, was invited to Dublin City University School of Communications as an international scholar, has served as a member of the Ecumenical Jury at the Montréal World Film Festival, and has participated in a Faculty Development Seminar in East Jerusalem and the West Bank. In addition to his teaching and research, Professor Ferré has served the University of Louisville and professional organizations in positions of leadership. 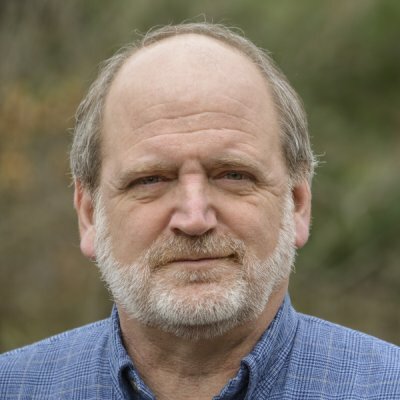 He is past president of the Louisville Pro Chapter of the Society of Professional Journalists and of the American Journalism Historians Association. Currently, he serves on the editorial boards of four scholarly journals: Journal of Media Ethics, Journal of Media and Religion, Journalism History, and Historiography in Mass Communication. On campus, he served for eight years as the College of Arts and Science’s Associate Dean for Faculty Affairs and for two years as Interim Dean. John Ferré is a great professor who is full of enthusiasm for communication. Our class had a main focus on the first amendment and Ferré's enthusiasm for the subject spread like wildfire throughout the class.